Volleyball and More has a growing selection of the best adidas running shoes in san antonio. We are among the top athletic shoe stores San Antonio Texas providing top of the line sports gear for volleyball and popular sports. 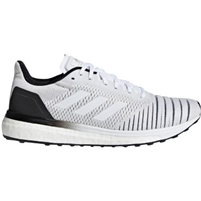 If you are looking for new running shoes in San Antonio, here is a break down and a little history about Adidas running shoes. Adidas was one of the very first athletic shoes company in the world starting way back in 1924 in a small town in the Bavarian region of Germany. Athletes like Jesse Owens first wore their shoes in the 1936 Olympics and the shoes gained later fame in track and field throughout the 1940s through 1970s. In fact, you would be hard pressed to find a competing brand of track spikes throughout that era as Adidas had generally cornered the market. However, with the dawn of the 1980s other athletic shoe companies started to gain a larger market share, primarily led by Nike. By 2012 it seemed that Adidas had all but forsaken the running shoe market and their market share had dwindled significantly due to stagnant marketing and the loss of top designers to competing brands. 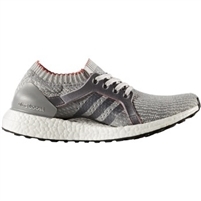 But in the last several years Adidas running shoes have come back to the forefront of state of the art running shoe design, and this guide aims to highlight the line and what sets Adidas running shoes apart. Visit our san antonio running shoes store today for all of your sports gear.